Now available in one bundle for the first time, the first six books of the Camilla MacPhee Mystery series are gathered together. Camilla MacPhee is the black sheep of her perfect, blonde family, and her uneasy association with the world of crime takes bizarre turns through hotel crucifixions, firebombing, vengeful exes, drowned lawyers, and bossy sisters in this seriously funny, dark mystery series. Speak Ill of the Dead - Camilla MacPhee Mystery #1 Camilla gets tangled up in what looks like a bizarre vendetta when a vicious fashion columnist with underworld connections is crucified in a downtown hotel room, and her best friend becomes the main suspect. The Icing on the Corpse - Camilla MacPhee Mystery #2 What starts with a terrified woman being stalked by a violent ex soon has Camilla embroiled in something even more sinister. 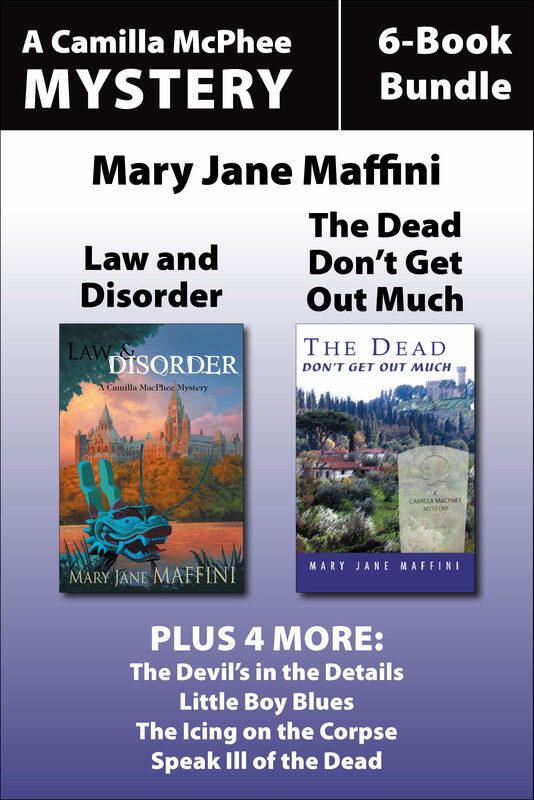 Includes four more Camilla MacPhee mysteries: Little Boy Blues - Camilla MacPhee Mystery #3 The Devil's in the Details - Camilla MacPhee Mystery #4 The Dead Don't Get Out Much - Camilla MacPhee Mystery #5 Law and Disorder - Camilla MacPhee Mystery #6 . Otros ebooks de Mary Jane Maffini.